National oil and gas company, Petronas, which was once transparent and receptive to Sabah and Sarawakian employees underwent somekind of a change in the 1990s, so much so that it reclused itself from Borneo, said opposition PKR. Local opposition are of the opinion that the “ultra rights in Umno” won’t allow the federal government to accept Pakatan Rakyat’s invitation. Pakatan Rakyat here believes only Sarawak can lead the way in finding a middleroad to the current racial and religious tension in the country. Batu Lintang assemblyman See Chee How wants the investigations to include a study into the massive losses incurred by the consumers and business community. The state government and Sarawak Energy Berhad (SEB) should make public the preliminary findings on Sarawak’s statewide blackout on June 27. Raising the issue, Batu Lintang assemblyman See Chee How said: “A detailed investigation into the statewide blackout should be opened. 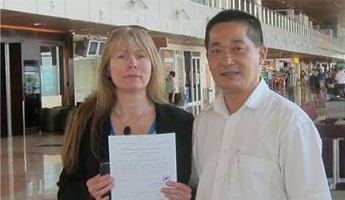 There is a curious twist to the story of the British activist banned from entering Sarawak. 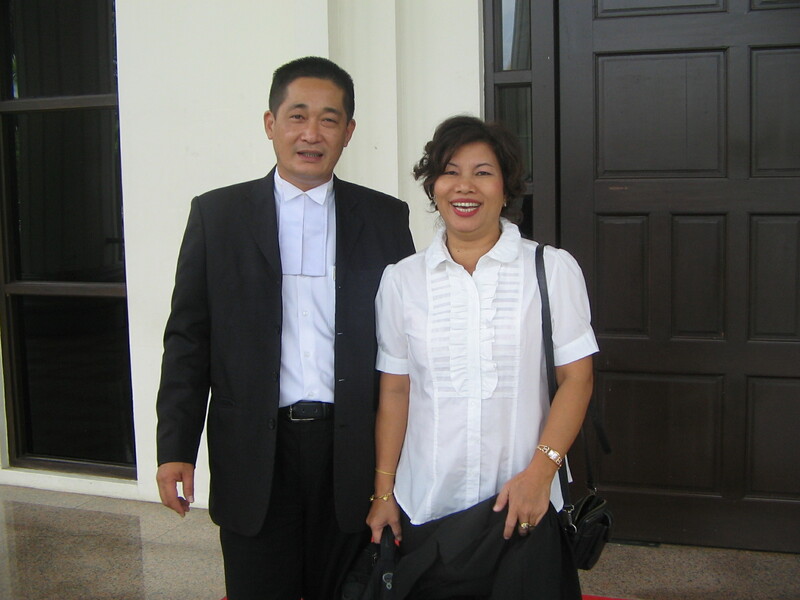 The same security office of Chief Minister Tan Sri Taib Mahmud that would not let her enter the state last week to defend herself in a legal suit there, has apparently also banned her Malaysian lawyer from leaving the country – for the past 14 years. Activist Clare Rewcastle Brown revealed this about her lawyer See Chee How in an exclusive interview with The Malaysian Insider. An unknown thug threw a Molotov cocktail into the driveway of the home of See Chee How, state assemblyperson for Batu Lintang, Kuching, and Sarawak PKR vice-chairperson, around 4am a week ago. No one was injured by the makeshift weapon. See’s family car was slightly dented by the projectile, and there were scorch marks on the chassis, as well as broken glass on the driveway. RM67.55b surplus but where’s the money? If statistics are any measure, Sarawak should be the richest state in Malaysia, so why then is there a lack of funds for development projects. Facts and figures listed in the Sarawak government’s monthly bulletin have come under scrutiny following revelations that the state’s trade surplus last year was a whopping RM67.55 billion. NO TO BILL: Scenes at the assembly which opposes the approval of the PA 2011 Bill. 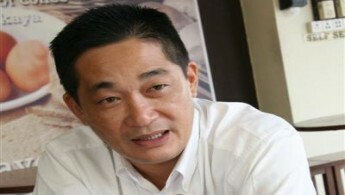 State PKR vice-chairman See Chee How has described the enactment of the Peaceful Assembly Bill 2011 as ‘insensitive’. He said nobody would give up their rights to liberty to the government. Commenting on media reports that Barisan Nasional (BN) leaders had accused the Malaysian Bar Council of acting like a political party for drafting an alternative Bill, the Batu Lintang assemblyman said “it is inappropriate to accuse the Council of playing politics to block the Bill as the parliament is given the mandate to legislate”. Internal strive and Taib Mahmud’s strategy to keep BN allies SPDP and SUPP ‘weak’ will give Sarawak Pakatan Rakyat the edge. The Sarawak Pakatan Rakyat coalition is keenly watching the latest political developments in the state, namely the crisses in Sarawak United Peoples Party (SUPP) and Sarawak Progressive Democratic Party (SPDP). At stake is 11 parliamentary seats belonging to both SUPP and SPDP. “The two parties (SUPP and SPDP) are getting weaker due to internal conflicts,” said See Chee How, vice-president of Sarawak PKR. Sarawak opposition PKR wants to know why Speaker Asfia Awang Nassar dismissed questions on UK-based public relations company FBC Media. A question as to whether the Sarawak government was still paying a British-based public relations company, FBC Media, to conduct a global media campaign against international critiques was shot down at the state legislative assembly sitting yesterday. Speaker Asfia Awang Nassar used his newfound powers availed by approved amendment to Standing Order to reject the question by Batu Lintang (PKR) assemblyman See Chee How. Numpang Suntai and 14 others, representing 276 Iban families from the 15 longhouse communities of Kampung Entanggor, Ensika, Lumut, Arus Dayak, Tongkah Dayak, Tongkah Dayak Lubuk Manta, Tongkah Dayak Atas, Tongkah Dayak Rumah Panjai, Lunying, Belimbing Besi, Ketimbong and Bajong Ili, Bajong Ili Atas, Bajong Ili Tengah, Bajong Ili Baruh, all situate at Sebangan, Simunjan, Sarawak, filed their civil suit at the Kuching High Court on November 1st, 2010. After the consent judgment entered last Friday in favour of 500 NCR landowners of 2 longhouse communities of Rumah Musih and Rumah Usek in Kampung Sg Merak, Pantu, Simanggang , another is entered this morning in the Kuching High Court for the Iban landowners of Kampung Merakai, Gedong, 35 miles south. Movement for Change, Sarawak (MoCS) insists on holding its ‘Walk for democracy and reforms’ on Aug 13 in Kuching, despite the fasting month. “I have thought through this matter months ago and had consulted our Muslim friends,” MoCS leader Francis Siah (photo, on the right) said today when responding to criticisms by some Sarawak BN leaders, especially from Parti Pesaka Bumiputra Bersatu (PBB) against the rally. Sarawak PKR wants to know what happened to the money the state government had allocated to ferry Penan students from their homes. Where has the RM1.2 million allocated by the Sarawak government to ferry Penan students from their respective villages in Baram gone? Posing the question, PKR vice-president Voon Shiak Ni said the schools had not received any money from the allocation which dated back to 2008. PKR assemblyperson See Chee How delivered a startling disclosure at the Sarawak state legislative assembly sitting today with his revelation of the timber licences issued to companies after the dissolution of the legislative body on March 21. However, See , who is also PKR information chief, did not want to discloses the names of these companies, though, he claimed that they were in his possession. Sarawak PKR does not expect the status quo in the state leadership to change even with the recent appointment of Adenan Satem as minister with special functions in the Sarawak chief minister’s office. It said this does not mean that Chief Minister Abdul Taib Mahmud will step down in three years’ time, as he had promised before the April 16 state election. NEW MEMBERS: Asfia (front, third right) in a photoshoot with some of the newly elected members of the State Legislative Assembly after their meeting and lunch at the new DUN complex yesterday. A total of 22 members would be making their debut at the coming sitting. 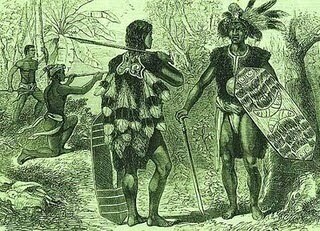 The landmark challenge being mounted by a group of natives against the Sarawak Land Code was postponed to allow the state to answer a 56-page submission and an affidavit filed by the appellants earlier this morning.“We submitted our lengthy submission on our proposal, as requested by the court, on how to evaluate and compensate for the appropriation of NCR lands if the court agrees that it is different from normal lands, as land is life(represents livelihood) to the natives. Although the BN has retained its two-thirds majority, it may not be a good yardstick for Najib to call for snap polls just yet, say analysts. 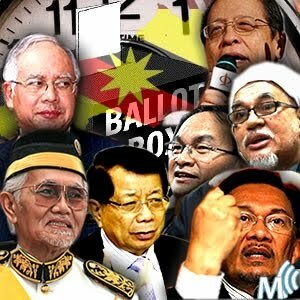 KUALA LUMPUR: The just-concluded Sarawak state election cannot be used as a barometer by the Barisan Nasional (BN) to call for snap polls as it does not reflect national sentiments. Faced with an unyielding Christian community days ahead of a crucial state poll in Sarawak, the federal government has retracted all conditions previously imposed on the use of Malay bibles there, but appear to have separate rules for believers on the other side of the South China Sea. Although the ‘political tsunami’ of the 2008 general election is losing steam in the peninsula as shown by the recent by-elections, it will still be Pakatan’s major weapon in fighting the 10th Sarawak state election on April 16. PARTNERS IN POLITICS AND BUSINESS TOO! Mohammad Ali Mahmud – the CM’s YB businessman brother! Another Mahmud brother, another land grabber! Taib was hardly going to leave his brother Ali out of the party. 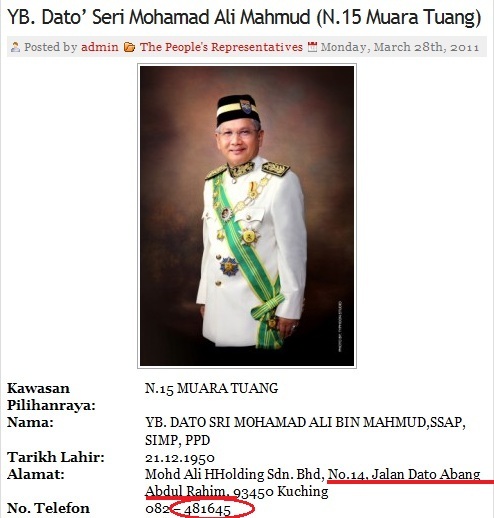 After all Mohammad Ali bin Mahmud, is also slaving away as a State YB for Muara Tuang and a stalwart of Taib’s PBB (part of BN). However, Ali has clearly been anxious to disguise his involvement in the land grabs. Could it be that he thinks that it could be regarded as wrong by his voting constituents? Sarawak is not a ‘fixed deposit’ for the BN but a thinking state that must chart its own course. There is no reason for us, the government, to seize people’s land, adds the CM. The opposition parties in Sarawak are incapable of working together as is seen in their ongoing fight over seats for the state election, said Chief Minister and state BN chief Abdul Taib Mahmud today. The Sarawak government has withdrawn two lucrative provisional land leases in Lundu, awarded by Chief Minister Abdul Taib Mahmud to Polar Horizon, a company closely linked to his own family. Sarawak PKR information chief See Chee How repeated his party’s challenge to Chief Minister Taib Mahmud for a public debate with Sarawak PKR chief Baru Bian, as he today released two more examples of native customary rights (NCR) land grabs by the State Government. “Someone in higher authority” has requested 495 families to drop their lawsuit against the state government and a company linked to Chief Minister Abdul Taib Mahmud’s family for encroaching into their native customary rights (NCR) lands, revealed lawyer See Chee How. 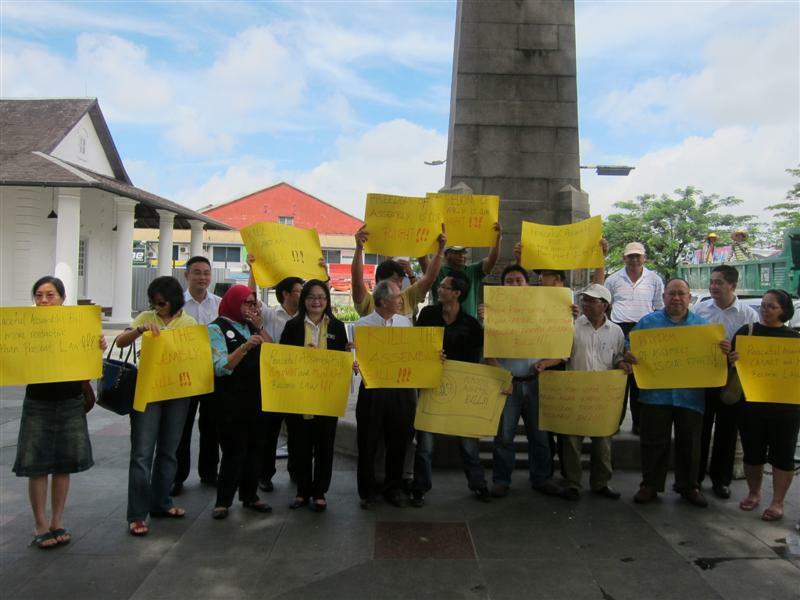 Over a hundred Malay, Bidayuh and Iban Native Customary Rights (NCR) land owners from five villages protested at the Kuching Court Complex on Friday against Polar Horizon, a company owned mainly by Abu Bekir, the son of Sarawak’s Chief Minister Taib Mahmud. In an unprecedented show of dissent by members of Abdul Taib Mahmud’s own party, Parti Pesaka Bumiputera (PBB), Malay and Bidayuh villagers from Sampadi, Lundu, gathered at the Kuching High Court yesterday to voice their anger.